Quinoa, also known as the 'Mother Grain' isn't a grain at all but rather a seed that packs a mighty nutritional punch. 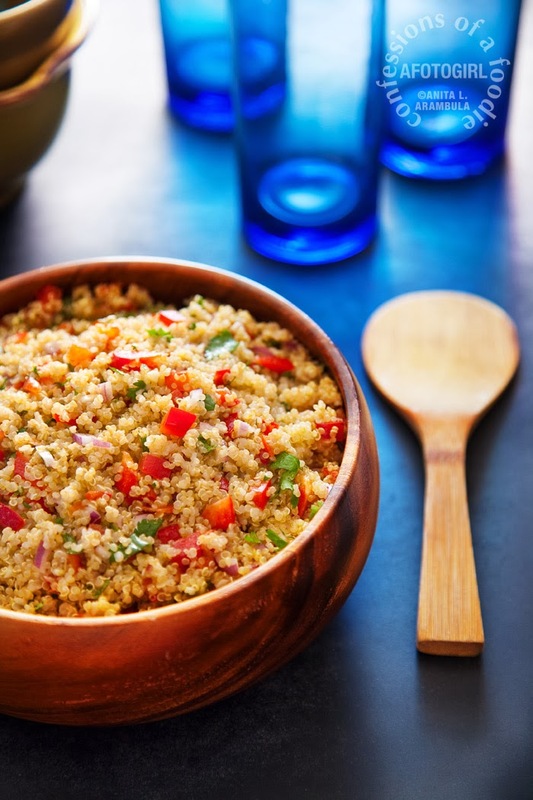 Try this Quinoa with Red Peppers and Cilantro for a hearty, satisfying lunch or dinner. Heard of quinoa (pronouced KEEN-wah) but not sure how to use it? Ready to discover a delicious and nutritious grain that is high in protein, magnesium and potassium? This salad by America's Test Kitchen, republished in the Union-Tribune's Food section today is a tasty introduction to this healthy ancient grain. Quinoa, technically, is not a grain but a seed (grains are harvested from grass, this comes from a broadleaf plant) and has ancient roots in South America. * To the Incas, who cultivated this plant prior to 3000 B.C., quinoa was sacred. They referred to it as the "mother grain." A good source of protein, magnesium and potassium (8 g, 118 mg and 318 mg respectively, per cooked cup**), this nearly complete "superfood" (quinoa contains all nine essential amino acids) does take a little effort to prepare: the hull of the seed is rather bitter resulting in the need to rinse well and rinse again. But the fluffy texture, filling nature and nutritious value of quinoa make it worth the effort. The trick is definitely in the rinsing, and rinsing again. Another tip picked up from Darlene over at My Burning Kitchen, is the addition of a final steaming, which produces the lightest, fluffiest quinoa so far tested. As I've mentioned before, sometimes I have to step out of my role as page designer for the newspaper and cook, style and photograph dishes for cover presentations in our food section. Such was the case for this wire story which provided mediocre art. Not having tried quinoa prior to this, I stuck to the original recipe for the creation of this photograph but have since incorporated some techniques picked up from Darlene and a few modifications for personal taste (original recipe calls for jalepeño. bee-yuck!). This is salad has become a staple for me as it packs great for lunch (I often am so swamped, I'm forced to eat at my desk for a "working" lunch). Also, the preparation for the quinoa can be easily adapted to include any of you favorite flavors and "add-ins." 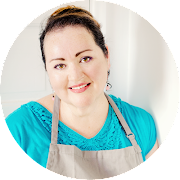 Have fun experimenting and feel free to check back in and let me know what awesome recipes you've come up with, too. Prep the grain. Place quinoa in a large bowl. Fill with cold water to fill. Swish and wash the quinoa. Empty water and repeat, two more times. Line a cookie sheet with a linen dish towel and spread out the quinoa in a single layer. Allow to dry. Prep the veggies and herbs. Seed and finely chop the bell pepper. Mince the onions and cilantro leaves. Prep the dressing. In a small bowl, whisk together the oil, lime, mustard, garlic, and cumin. Cook grain. Place dry grain in a large skillet on medium heat and stirring constantly, dry toast until lightly golden and aromatic, about 5 minutes. Fill a small pot with 1 1/2 cups of water, add 1/2 teaspoon of salt and the quinoa had place on high to bring to a boil. Once boiling, cover and reduce heat to low and simmer for 15 minutes. Steam. Drain quinoa into a metal sieve. Refill pot halfway with water, return to medium heat and place sieve with grain over pot being careful that water doesn’t touch grains. Cover and steam for 15 minutes. When done, rinse under cold water to cool, add to a bowl, fluff with fork. Add veggies and herbs. Give the dressing another quick whisk and pour into bowl, stirring to combine everything well. Taste and adjust salt and pepper to taste. Particularly tasty the next day after all the ingredients have spent the night together. I enjoy the slight crunch of quinoa most of all. Although I haven't given up on rice completely, quinoa is my second favorite grain. I'll try this recipe. Looks delicious! I happened to have all the ingredients- amazing! I made it this yesterday and it was delicious. So glad you loved it, Sally! I'm thinking about making this recipe tomorrow. Thank you for sharing it! Waiting for your next articles as well!